Thanks for tuning in yesterday! It’s starting to come around, huh? Well, we just picked up our Christmas tree tonight and made some hot chocolate! I am starting to get really excited for Christmas. 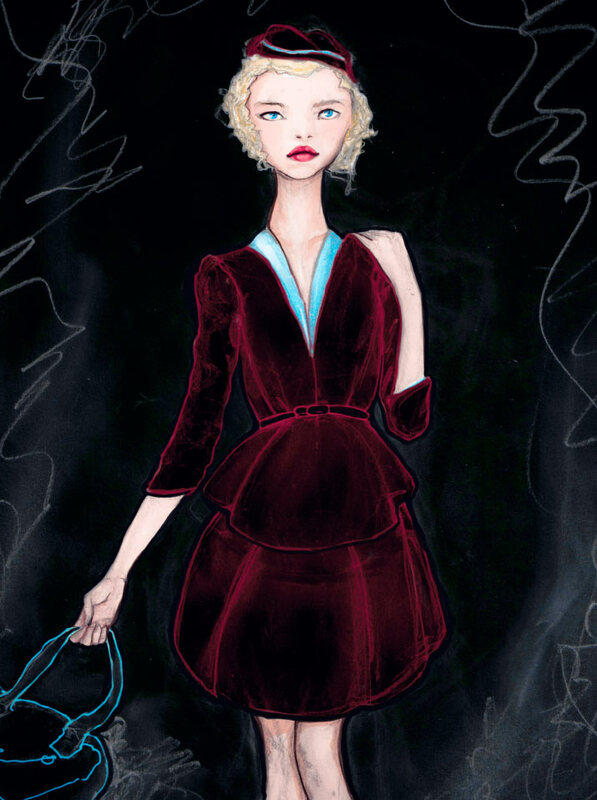 The drawing today is an outfit design I did for my “What’s Contemporary” Collection. I really like how it turned out. It has kind of an old Vogue feel to it, don’t you think?